Washington, D.C., May 9, 2013 – After weeks of powerful testimony and excruciating procedural wrangling, the trial of former Guatemalan dictator Efraín Ríos Montt and his intelligence chief José Rodríguez Sánchez on charges of genocide and crimes against humanity is coming to an end. With Judge Yazmin Barrios’s request for closing arguments yesterday, the government’s lead prosecutor, Orlando López, gave more than two hours of summation based heavily on the Guatemalan military plans, manuals, and operational records entered as evidence. With this posting, the National Security Archive looks at the army’s strategy behind the counterinsurgency campaign launched by Ríos Montt against the guerrillas and the civilian population suspected of supporting them. For background on the trial and daily summaries of the proceedings, commentary, analysis, documents and photographs, see the Open Society Justice Initiative website, created in partnership with the National Security Archive, the International Center for Transitional Justice, CEJIL and the Guatemalan on-line news site Plaza Pública. For part one of this special report on Ríos Montt, see Indicted for Genocide: Guatemala’s Efraín Ríos Montt. 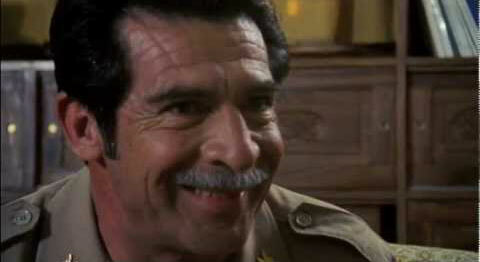 Next Posting: U.S. Policy and the Ríos Montt Regime. The army’s determination to wage total war was driven not simply by military imperatives, but by deep political concerns as well. Lucas García’s regime had put the military on warning about the potential political power of the indigenous population. The perceived success of the guerrillas (particularly the Guerrilla Army of the Poor — the EGP — operating in the northwest of the country) in appealing to the Mayan population on the basis of the State’s record of violence and neglect in those communities alerted the armed forces to the dangers of ignoring the country’s indigenous poor. The nation would now be guided by the armed forces toward a “controlled” democratic transition without constitutional constraints. The idea behind the creation of Victoria 82 — issued on June 16, 1982 — was the imposition of a systematic and controlled strategy on a counterinsurgency campaign that had been characterized under former President Romeo Lucas García by indiscriminate and chaotic violence. The military officers who launched Victoria 82 recognized the failure of the previous regime, the antipathy that it created within the population against the State, and the corresponding increase of support for the insurgents. For that reason, Ríos Montt and his army designed a plan that sought the total elimination of the armed subversion, as well as the “parallel organizations,” combined with economic and social development programs to change the mentality (or “win the hearts and minds”) of society toward the State. “The population’s mentality is the principal objective,” according to Victoria 82. This new plan, created by the army to “guarantee the Nation’s peace and security,” established a mission for all military units in the country: “The commands involved will conduct operations of security, development, countersubversive and ideological warfare in their respective areas of responsibility… with the objective to locate, capture or destroy subversive groups or elements [individuals].” (IV) The document identified psychological and counterinsurgency operations as twin strategies necessary for achieving victory over communism in the country. Accordingly, Ríos Montt’s new plan combined the tactics of Benedicto Lucas with social welfare programs in an effort to mitigate the brutal counterinsurgency sweeps with government assistance. In sum, Plan Victoria 82 described the creation of a State purged of subversive elements by a war “without limits,” in the words of the new Chief of State Efraín Ríos Montt, and then totally militarized through an extensive infrastructure of social control, indoctrination and repression. The army commanders throughout the country were ordered to hurry their preparations for the offensives that would follow immediately after the end of the amnesty. As the regime launched the wider war, the army increased and reorganized for the campaign. The Military Junta had made explicit reference to the army’s inability to eliminate the guerrillas definitively in its National Plan for Security and Development (PNSD): “In the Military Field, the troops, weapons, and equipment of the Guatemalan Army, according to the current organization, are not adequate to cover the different fronts presented by armed subversion.” (I/b/5, p. 1) Victoria 82 was designed to address these inadequacies. The document contained detailed orders on how restructure, strengthen and coordinate the military’s forces in order to “defend the population” and “annihilate” the guerrillas. Emphasis was placed on the mobility of the units involved (“they must be in constant movement” IX/G), the imperative of communication (“they must maintain CONSTANT COORDINATION BETWEEN THEM” IX/E), and the responsibility of the individual commanders to report directly to the Army General Staff every 15 days on the status of their forces, combat actions taken, and a summary of results (IX/Q). In order to prosecute the war, Ríos Montt’s regime amplified the task force strategy established under Benedicto Lucas García. The temporary task forces gave the army the utmost flexibility in assembling special rapid reaction forces composed of units drawn from services, military zones, bases and brigades from all over the country and concentrating them in closely defined zones of operation for a limited period. Victoria 82 mandated the creation of several new task forces: Task Force Gumarcaj was assigned to the central Ixil region, Quiché, and Task Force Tigre to the Ixcán. Iximché continued operations in Chimaltenango and a fourth Task Force, Quiriguá, covered an area of operations in San Marcos and part of Quetzaltenango. (VI/A/19, 20, 21, VIII/P, Q, R and Anexo K) According to the Historical Clarification Commission, the new Task Forces began operating in June 1982, as ordered by the Victoria 82. Plan Victoria 82 provided the strategic framework for the scorched earth operations and civic actions programs carried out during the first year of the Ríos Montt government. The Army’s expansion, reorganization and deployment of its units after March 23 enabled the regime to mobilize its troops anywhere there was a perceived threat in the country and apply massive force rapidly and effectively. Ríos Montt’s scorched earth tactics are documented in a collection of Guatemalan army records created in July and August 1982, connected to Operation Sofía — a series of counterinsurgency sweeps through the Ixil region to kill EGP combatants and destroy their “base of support” (the Maya Ixil population). The Operation Sofía documents were given to the National Security Archive in 2009 and the Archive in turn provided them as criminal evidence to the prosecutors in the genocide case. You can read about Operation Sofía here. Declassified US documents have been less useful to the case. Biased reporting renders many of the US documents a poor source of credible information on the massacres during the Ríos Montt regime, in particular in the Ixil region that is the subject of the genocide trial. There are exceptions, however – documents that contain evidence of army responsibility for human rights crimes under Ríos Montt’s leadership. They are exceptions because of the access that US officials had at the time of the incidents to intelligence information from credible, non-military sources. One example of US records pointing to army perpetrators in massacres and other human rights abuses concerns the violence that occurred in and around Choatalum, Chimaltenango in October 1982. US reporting on Choatalum initially reflected the same skepticism that colored many of their observations about massacres under Ríos Montt. The US Embassy strongly discounted early reports from human rights groups and news articles alleging an army massacre of campesinos in Choatalum in October, and the arrival of huge numbers of refugees trying to flee the army in surrounding areas. Less than two weeks later, the Embassy sharply reversed its position, when a trusted source told political officers what he had seen, and later brought indigenous survivors to tell their stories personally. The extraordinary cable that resulted from the meetings is worth quoting at length for what it says about the level of military violence unfolding in the Altiplano at the time. Document 1: DIA, Views of a Coup Leader, April 7, 1982. Schirmer, Jennifer. The Guatemalan Military Project: A Violence Called DemocracyPhiladelphia, PA: University of Pennsylvania Press, 1998, p. 35. Plan de campaña Victoria 82 , Anexo “H” (Ordenes Permanentes para el Desarrollo de Operaciones Contrasubversivas), I. 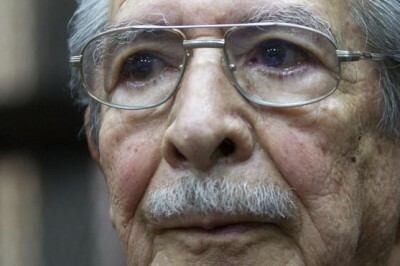 Although Victoria 82 is not a public document, the National Security Archives possesses a copy and will post it as soon as it becomes public with the end of the Ríos Montt trial.